Aristotle (384 BCE to 322 BCE) is a Greek philosopher and scientist whose achievements have led some to designate him as the first scientist in history, a statement reportedly supported by the Encyclopedia Britannica. Aristotle was born somewhere around 384 BCE. His birth place was Stagira, Chalcide in Macedonia, which is now known as northern Greece. His father was Nicomachus. His mother was Phaestis. Nicomachus was a court physician for Amyntas II – the Macedonian King. Nicomachus died when Aristotle was a young boy. Not much is known about Phaestis. It is believed that even Phaestis died when Aristotle was young. Aristotle held the belief that universe was eternal. He said that there was no beginning to this universe and there was no end as well. He said that things can change over time. However, the overall conditions will never change. He was very interested in zoology and carefully studied animals. He classified the animals into two groups – red-blooded-animals and not-red-blooded-animals. In today’s context it corresponds to vertebrates and invertebrates. Aristotle was also fascinated by marine biology. He even dissected marine animals and studied the anatomical features of those animals. The observations he made about marine life were significantly accurate. After the death of Nicomachus, Proxenus – husband of Aristotle’s sister Arimneste, became the guardian of young Aristotle. When Aristotle attained the age of 17, Proxenus sent Aristotle to Athens so that Aristotle can pursue higher education. Aristotle, the son of Nicomachus, was an extensive scientist who studied under Plato for nearly twenty years. Upon Plato's death, Aristotle began to explore a more empirical approach to science, and his work formed the basis for many of his writings. Phillip of Macedonia enlisted Aristotle to become the tutor of Alexander the Great, a position which afforded Aristotle the chance to travel and to establish advanced facilities for study and research. One of these facilities was the library at Lyceum, enabling him to publish many of his books and store them securely. During his tenure as not only Alexander's tutor but also Ptolemy's and Cassander's, Aristotle became the head of the royal academy of Macedon. Students of Lyceum were engaged in research on a wide range of topics covering math, science, arts, philosophy and more. They used to write all they found in manuscripts and in the process, the school became one of the first great libraries of ancient world. Pythias, wife of Aristotle, died the same year in which Lyceum was opened. Soon after her death, Aristotle got engaged in a romantic relationship with a woman named Herpyllis. Herpyllis was from Stagira – the hometown of Aristotle. After Plato’s death in 347 BCE, Aristotle didn’t inherit the position of director because Aristotle could not agree to some of philosophical treatise of Plato. Aristotle was invited to court of Hermias – a friend of Aristotle and King of Mysia’s Atarneus and Assos. In 323 BCE Alexander the Great died suddenly, the government that was pro-Macedonian was overthrown. There was anti-Macedonia sentiment all around in Athens and Aristotle was afraid that he would be prosecuted. So, he ran off to Chalcis on Euboea island. He stayed there until he died. Aristotle stayed in the court of Hermias for a period of 3 years. During that period, he married Hermias’ niece Pythias. Aristotle fathered a daughter with Pythias. The name of the daughter was also Pythias. While Aristotle's work in science, specifically the physical sciences, made a tremendous impact on academia throughout much of the known world, his philosophical writings influenced much of Judeo-Christian belief. This is especially true in the connection between organized religions and their dedication to learning and studies. Muslim leaders actually refer to Aristotle by the title, "The First Teacher." After the collapse of ancient Greek civilization, Muslim writers preserved some of Aristotle’s work. Aristotle, whose philosophy greatly influenced the Christian and Islamic religions, eventually died in 322 BCE. While his research and teachings were in place well into the Renaissance, they were largely modified or replaced during the period known as The Enlightenment. In 338 BCE, Aristotle returned home to Macedonia. There he started tutoring son of King Phillip II. That boy who was only 13 years old then would grow up to become a man who the world knows as Alexander the Great. However, much of Aristotle's work in the biological sciences, specifically in zoology, were not refuted until the nineteenth century. As Aristotle's work continued, he made countless contributions to science and philosophy. It is estimated that only about one-third of his published writings are still in existence. There is widespread belief that Aristotle played a role in the death of Alexander the Great due to the ruler's power-hungry nature and disregard for his subjects and close friends; some reports indicate that he ordered the execution of Aristotle's nephew for Callisthenes, leading to their falling out. Aristotle died of natural causes at the age of 62, and was buried next to his wife. His son by a mistress he took after his wife's death was named after Aristotle's father, but he left his will and his school to a student of his, Antipater. After reaching Athens, Aristotle enrolled in the Academy of Plato or Plato’s Academy. Soon Aristotle was recognized as an extraordinary scholar. 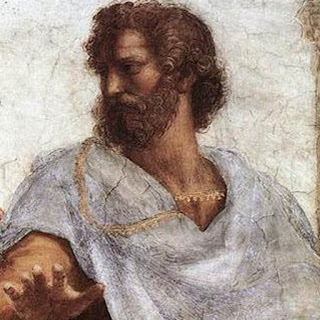 Aristotle had close relationship with Plato and was one of his most favorite pupils. It was believed that after Plato, Aristotle would become the director of the Academy. In 335 BCE Alexander became king and conquered Athens. That is when Aristotle returned to Athens. At that point, Plato’s Academy was still running and was still one of premier institutions of Athens. Aristotle asked for permission from Alexander and opened his own school known as Lyceum. That time forward, Aristotle spent most of his time in Lyceum. He taught students and himself did much research work and wrote down everything. His pupils were forced to walk around behind him as he had this habit of walking around Lyceum campus while teaching. That is why the pupils were known as Peripatetics which in English translates in ‘people who travel about’. Historians believe that Herpyllis was a slave given to Aristotle by court of Macedonia. However later, Aristotle freed Herpyllis and eventually married her. Herpyllis and Aristotle together had children. Their son Nicomachus (named after Aristotle’s father) died in a battle when he was still young. It is believed that in order to honor his son, Aristotle named his most famous philosophical work as Nicomachus Ethics. Aristotle was even interested in earth sciences. His treatise called ‘Meterology’ gives us insights into his knowledge. In Meterology we find that he identified water cycles and even discussed about astrological events and natural disasters. The primary objective of Aristotle’s philosophy was to get hold of a universal reasoning process. He observed things based on their characteristics, their actions and the state in which they are. He gave birth to deduction and inference drawing. According to him, certain things when done, lead to something else because of necessity. This deduction process was later termed as syllogism.